Discovery Bay #3907 - High floor on 39th with Diamond Head view from your room. High floor on 39th with Diamond Head view from your room. Available only for stays of 30 nights or more! 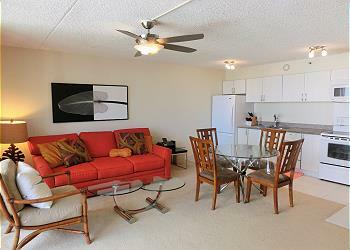 The Discovery Bay Condominium is situated in the Westmost part of Waikiki. 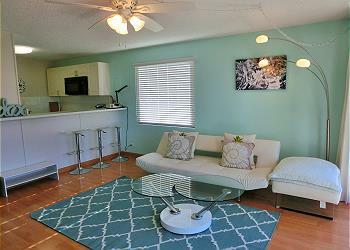 Conveniently located within walking distance of Ala Moana Shopping Center and Beach. And also with McDonald's, a sports bar, coffee shop and other shops right on the bottom level of the building, ABC store just across the street. The building offers luxurious amenities such as a heated pool, hot tub, sauna, patio/deck area overlooking the ocean, barbecue grills, a fitness gym and 24-hour security. High floor unit with gorgeous views of Diamond Head and city. 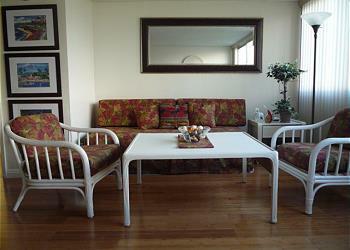 This unit is fully renovated with a modern interior that offers a pleasant and comfortable stay. 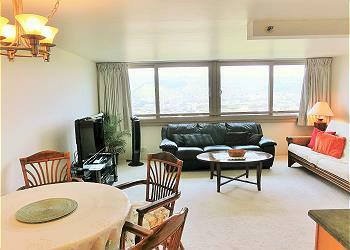 The enclosed lanai(balcony) extends the living area with a gorgeous view of the city and Diamond Head. 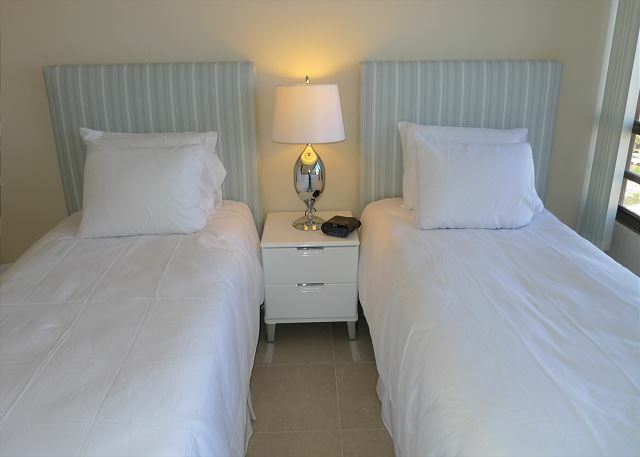 The bedroom is equipped with two twin beds. 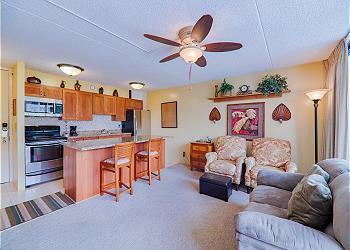 Included with your rental are free local calls, WiFi Internet, 1 basic cable TV and one covered parking. 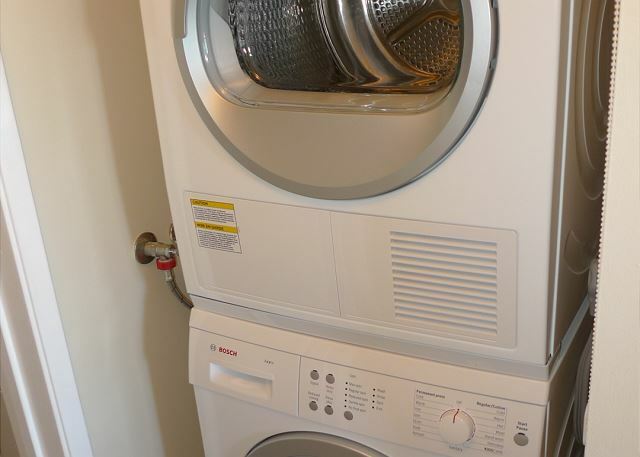 Washer/ Dryer in the unit for your convenience. Excellent location. Excellent layout for two adults. Excelletn deep bath tub. If possible, rice cocker, iron and vacumn cleaner upgrade is recommendable. We enjoy overseas long stay every summer and winter for this 10 years.The countryside of Great Britain or Finland in summer,Newzealand or Australia in winter, but finally I came to Hawaii 3 years ago when my wish came true. 1)We don't want to see plate with crack and broken cutlery in the shelves. 2)Comparing to the others, very few platewaret. 3)Rice cooker is very poor quality. 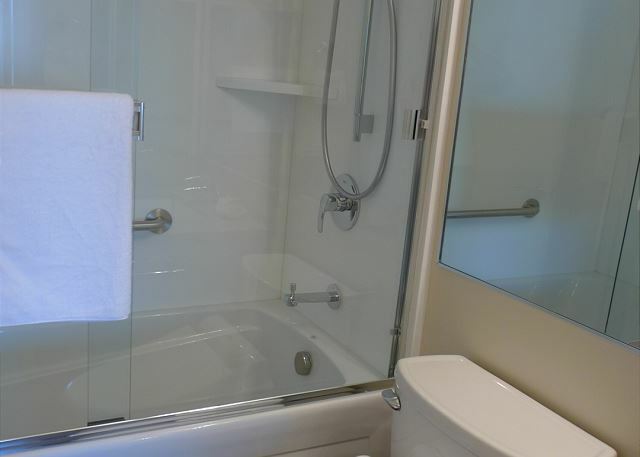 Convenient location with parking and washer and dryer in the unit. Price per night from $100 to $117 Available only for stays of 30 nights or more! 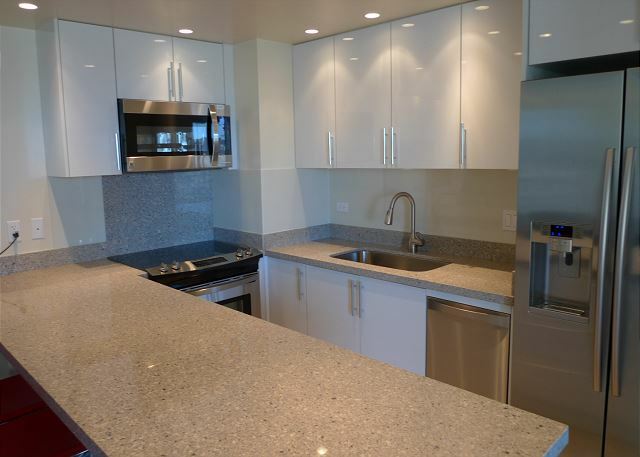 Located on Kuhio Avenue directly across the newly built Ritz-Carlton Waikiki Beach Hotel/Condominium. Price per night from $87 to $94 Available only for stays of 30 nights or more! Enjoy the gorgeous diamond head, mountain, golf course and ocean view from this 35th floor corner unit. This unit has washer and dryer for your convenience. You will love this "Old Hawaiian Style" room! Price per night from $87 to $97 Available only for stays of 30 nights or more! High floor corner end unit. Enjoy ocean, canal, sunset and the fireworks at Hilton. Deluxe 1 Bedroom Designed by a Japanese Interior Designer.